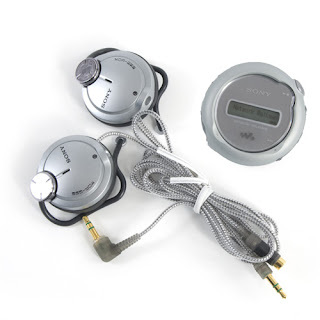 Buy.com is selling a Sony MP3 Player Walkman for $14.99 shipped. This MP3 usually sells around 30-40 dollars. It also comes with a set of Sony headphones. This would be a great little stocking stuffer for a runner or a young adult who has been wanting their own MP3 player. With 1gb of space you should be able to fit between 125-250 songs or the manufacture's estimate is 47 hours worth of music on the unit. The battery life lasts for about 70 hours, and the diameter of this unit is about 2 inches while weighing less than an ounce.